Since the act became law in 1906, presidents of both parties have used it to preserve 157 historic sites, archaeological treasures and scenic landscapes, from the Grand Canyon to key landmarks of the civil rights movement in Birmingham, Alabama. President Trump calls recent national monuments “a massive federal land grab,” and argues that control over some should be given to the states. In our view, this misrepresents the law. National monuments can be designated only on federal lands already owned or controlled by the United States. The president’s order also suggests that he may consider trying to rescind or shrink monuments that were previously designated. Based on our analysis of the Antiquities Act and other laws, presidents do not have the authority to undo or downsize existing national monuments. This power rests with Congress, which has reversed national monument designations only 10 times in more than a century. Trump’s executive order responds to opposition from some members of Congress and local officials to national monuments created by Presidents Bill Clinton and Barack Obama. It calls for Interior Secretary Ryan Zinke to review certain national monuments created since 1996 and to recommend “Presidential actions, legislative proposals, or other actions,” presumably to shrink or eliminate these monuments. The order applies to monuments larger than 100,000 acres, as well as others to be identified by Secretary Zinke. When a president creates a national monument, the area is “reserved” for the protection of sites and objects there, and may also be “withdrawn,” or exempted, from laws that would allow for mining, logging or oil and gas development. Frequently, monument designations grandfather in existing uses of the land, but prohibit new activities such as mineral leases or mining claims. Zinke said that he will examine whether such restrictions have led to “loss of jobs, reduced wages and reduced public access” in communities around national monuments. Following Secretary Zinke’s review, the Trump administration may try either to rescind monument designations or modify them, either by reducing the size of the monument or authorizing more extractive activities within their boundaries. Two of the most-contested monuments are in Utah. In 1996 President Clinton designated the Grand Staircase-Escalante National Monument, a region of incredible slot canyons and remote plateaus. Twenty years later, President Obama designated Bears Ears National Monument, an area of scenic rock formations and sites sacred to Native American tribes. Utah’s governor and congressional delegation oppose these monuments, arguing that they are larger than necessary and that presidents should defer to the state about whether to use the Antiquities Act. Local officials have raised similar complaints about the Gold Butte National Monument in Nevada and the Katahdin Woods and Waters National Monument in Maine, both designated by Obama in late 2016. The key question at issue is whether the Antiquities Act gives presidents the power to alter or revoke decisions by past administrations. The U.S. Constitution gives Congress the power to decide what happens on “territory or other property belonging to the United States.” When Congress passed the Antiquities Act, it delegated a portion of that authority to the president so that administrations could act quickly to protect resources or sites that are threatened. Critics of recent national monuments argue that if a president can create a national monument, the next one can undo it. However, the Antiquities Act speaks only of designating monuments. It says nothing about abolishing or shrinking them. Two other land management statutes from the turn of the 20th century – the Pickett Act of 1910 and the Forest Service Organic Act of 1897 – gave the president authority to withdraw other types of land, and also specifically stated that the president could modify or revoke those actions. These laws clearly contrast with the Antiquities Act’s silence on reversing past decisions. 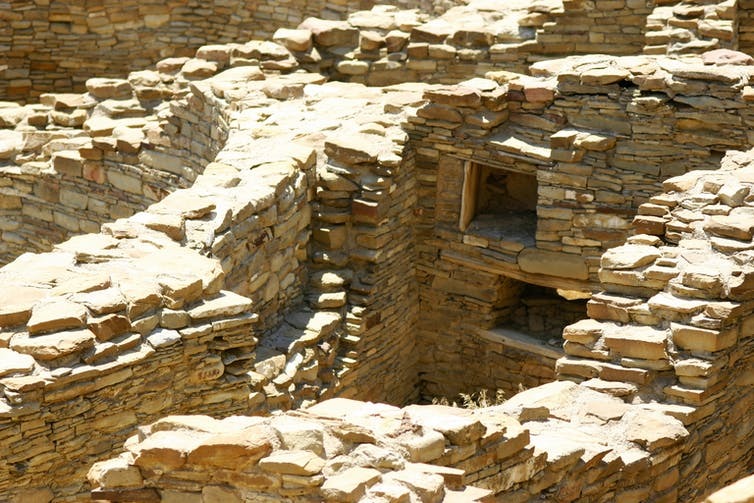 Ruins at Chaco Culture National Historic Park, New Mexico, originally protected under the Antiquities Act by President Theodore Roosevelt in 1907 to prevent looting of archaeological sites. Many national monuments faced vociferous local opposition when they were declared, including Jackson Hole National Monument, which is now part of Grand Teton National Park. But over time Americans have come to appreciate them. Indeed, Congress has converted many monuments into national parks, including Acadia, the Grand Canyon, Arches and Joshua Tree. These four parks alone attracted over 13 million visitors in 2016. The aesthetic, cultural, scientific, spiritual and economic value of preserving them has long exceeded whatever short-term benefit could have been derived without legal protection. As Secretary Zinke begins his review of Bears Ears and other national monuments, he should heed that lesson, and also ensure that his recommendations do not overstep the president’s lawful authority. Sean, I want to thank you and your LP colleagues for joining together to save America The Beautiful, including what GGSC describes as the Awe of Nature. We must inform and educate the public about what we are losing with the greatest urgency since time is running out as we rocket past 410 ppm, increasingly out of control droughts, sea levels expected to rise 10 feet or so by the end of the century, etc. We appear to be leaving the world of philosophers and entering the world of science fiction writers such as Frank Herbert as Donald and his band of congressional dung beetles create “Dune” on earth. Trump is the new version of hemlock to exterminate what is left of our democracy using a new GOPCcare plan. Today was not a good day for a climate march in Texas. The weather is overcast warm humid and somewhat depressing. Usually there are hot dogs and cokes and this year was no different except there was no ketchup – which is annoying but may not be that important in the big picture. Nobody marched, folks just stood around and some carried signs.The band was terrible, what does punk rock have to do with climate change? Some folks were smoking dope and making fun of Trump, they were fun to watch. On the way home we stopped at McDonald’s and saw some folks whom we recognized from the march who apparently had the munchies. For some strange reason they did not seem to understand, nor were they concerned about the fact that a Big Mac has a big carbon footprint and is also detrimental to cardio-vascular health. Now these were most likely good people who really care about the climate but accidentally forgot to mitigate because they were hungry. And who can blame them? We all get hungry and sometimes eat food that may not be good for the environment. Who am I to judge? Adapt and move on. Pity the fools, I’m glad its over, climate is not as much fun as it used to be. Next year maybe I will go fishing, or wash my truck, or go shopping, or watch TV, or share my thoughts on Legal Planet and say a hearty goodbye to climate change forever. BQRQ, thank you for your most interesting thoughts, what you say might represent more people than any intellectual, political and social group today. Considering the state of the world today, one thing we know without any doubt is that Intellectuals, politicians and social groups have totally failed to prevent the social, political, economic and environmental failures that are destroying our quality of life on earth. We have an incredible number of blogs to help us solve our problems faster than ever before, but no solutions yet or life would be a lot better than it is throughout the world today. What we keep proving beyond all doubt is that we have not evolved enough to save ourselves, and most importantly, we keep failing to produce and perpetuate an acceptable quality of life for our newest and all future generations. Wars, Us/Them dichotomies, corruption and hate keep overwhelming us. However, regardless of the state of our human race today, we must Never, never, never give up trying to overcome our mental and social limitations as long as we have the ability to do so. P.S. Another weekend passes and what we keep experiencing is that Ivory Tower pontificators keep their drawbridge up, and religious pontificators keep failing to practice the Golden Rule. While republican and democratic politicians only obey the power of money,refusing to give a damn about the working class. Thus, those who try the hardest to make the right things happen, like Pope Francis, Robert Reich and Bernie are marginalized by their own establishments. As long as this continues, an acceptable long-term future quality of life for our newest generations is an impossible dream.. Nevertheless, we must “Never, never, never, never give up” and continue to hope that another Churchill shall lead us in time to save us from ourselves again..